RTCN HOST Review 2019: Is RTCN HOST a Good Hosting? RTCN HOST is a small Brazilian web hosting provider targeting startups and small businesses. They have a simple and straightforward user interface complete with a convenient application installer and other add-ons available for purchase. RTCN HOST is a small website hosting vendor based in Brazil. At first glance, they look like a hosting provider that hasn’t been in the industry for very long. In fact, the sections detailing their WordPress, cloud, and dedicated server hosting packages return a 403 error, perhaps implying that the vendor doesn’t currently offer these services but intends to do so in the future. The RTCN HOST website is available in Portuguese, English, Spanish, Italian, French, and Esperanto. 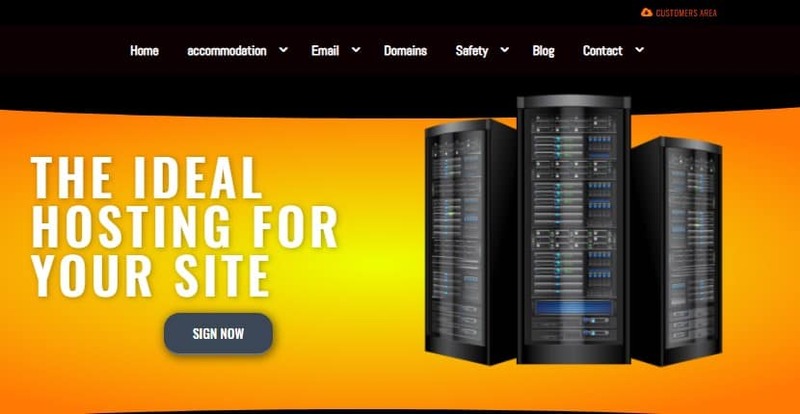 Unfortunately, their shared hosting plans don’t include a free domain registration, and only their highest-tier plan will allow you to host more than one website per account. They still limit you to five domains, however, which indicates that this vendor won’t be able to support agencies or mid to large-sized organizations. Further, at this point, RTCN HOST doesn’t provide their users with any beginner-friendly tools such as a website builder, nor do they offer advanced developer tools such as support for a range of scripting languages. It looks like all you’ll be able to do with RTCN HOST right now is create MySQL databases and install applications with their one-click installer, but beyond that, their platform’s functionality is rather limited. All shared hosting accounts will be hosted on U.S.-based servers — it seems RTCN HOST is a reseller host piggybacking off a larger American web hosting company, and hasn’t got any servers of its own yet. This is likely why there isn’t an uptime guarantee or SLA in place either. RTCN HOST’s shared hosting packages are within market range. However, when you consider the limited functionality of their platform, I’d actually say that their prices are on the high side. Note that since they primarily serve their local market, the plans are priced in Brazilian Real. For now, the web hosting vendor doesn’t offer much scalability for small businesses — they’ve only got three shared hosting plans available. They may offer cloud and dedicated server hosting in future since they’ve got categories open for these, but as of yet, there isn’t any information available on them. RTCN HOST offers their customers support via telephone and a ticketing system. Unfortunately, these aren’t available 24/7 — you’ll only get a response during business hours from Monday through Friday. Interestingly, they’ve also got a Facebook live chat plugin on their website, though you can expect the same response times there. One downside of this web hosting provider is their knowledge base. It has very little information. This is a problem especially given that the vendor targets owners of small businesses and startups, who might have little to no experience in web hosting. RTCN HOST has a few shared hosting plans adequate for small businesses. However, with no uptime guarantees, limited customer support, and their lack of features, RTCN HOST will need to up their game before they can stand their ground in the industry. Wondering how RTCN HOST stacks up against other Web Hosting companies? Enter any other Web Hosting company and we will give you a side-by-side comparison.